SunRype is dedicated to providing simple, nutritious products that make it easier for today's busy families to incorporate healthy eating into their active lives. They want to help you make good choices that offer both great taste and wholesome goodness. Do you give your kids fruit snacks? If so do you know the ingredients in them? Many of the leading fruit snack products are packed with sugar and ingredients that are difficult to pronounce; which means they are really not that nutritious or good for your kids. That is why i am grateful for companies like SunRype. They offer a healthy alternative to those other fruit snacks that are loaded with high fructose corn syrup, additives, artificial coloring, artificial flavoring etc. I received a variety of products from SunRype and I can say I am really impressed with the variety of products and flavors they offer. I first want to mention in reading the ingredient list, there is nothing I can’t pronounce and I’m happily able to report that they are a complete home run in the lost world! Everything we sampled was sweetly satisfying without being cloying. They’re tempered with just the right amount of tartness to balance things out and the adults loved them as much as the littles did! 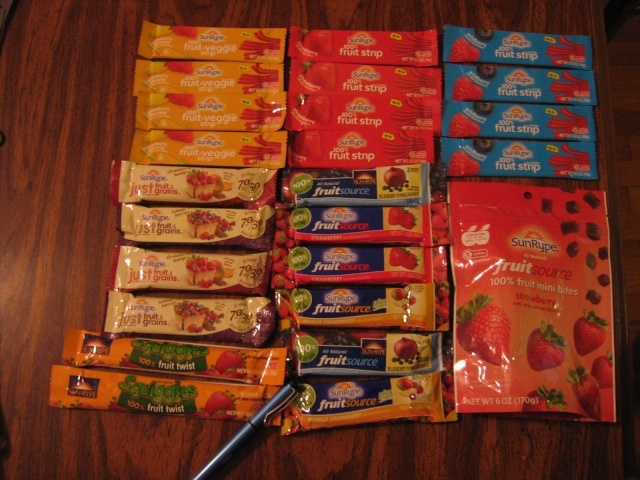 I feel good about this wonderful line of real fruit snacks – whether you try the Squiggles Fruit Twists, Fruit Strips, FruitSource Fruit Bars, FruitSource Plus Veggie, FruitSource Mini Bites or JustFruit & Grain bars. I especially liked the Strawberry Fruit Source Mini Bites in their 6 ounce resealable pouch. There are 4 satisfying servings in each pouch and at only 120 calories (0% fat!) totally guilt-free! SunRype product line is available in the produce section of your favorite grocery store. Check the handy dandy Store Locator to find one near you. Additionally, you can enter the SunRype Fall Harvest Sweepstakes for a chance to win a years supply of SunRype products and an Apple iPad 2. 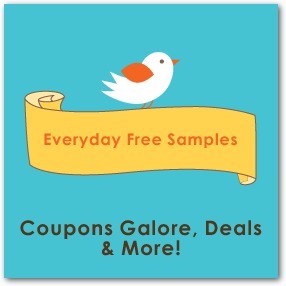 Also you can print a Buy 1 Get 1 FREE coupon here. Please note that SunRype reserves the right to substitute equal value products and/or may supply FREE product coupons to cover the equivalent prize package product selection. FREE product/s pictured above were provided to me to facilitate this post. No monetary compensation was received. Giveaway ends Nov. 20, 2012 at 12:01 AM EST. Open to US residents. Winner/s will be picked via Random.org and announced the following day. Winner will have 48 hours to reply before another winner is chosen. Opinions expressed in this content are my own and are not reviewed or edited by SunRype. Due to the new FTC rules, I was under no obligation to review any product if I so choose, Nor was I under any obligation to write a positive review or sponsor a product giveaway in return for the FREE product/s received.